PUREhollywood: Hannah Montana Concert Preformance Taping!!! BEAUTIFUL EYES Official Music Video! Hannah Montana: No Sugar, No Sugar SNEAK PEAK! 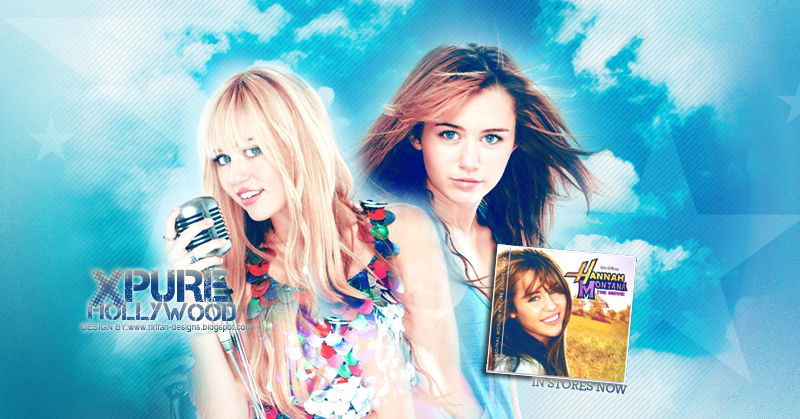 Hannah Montana Season 3 Concert/Songs! The SCARIEST Movie of the YEAR: "Quarantween"! Are Nick & Selena a PERFECT Match?! New High School Musical 3 - Rocketman! Hannah Montana Concert Preformance Taping!!! Selena Gomez is “getting to know” Nick Jonas! Selena's TV Guide Interview on Wizards! Miley is Really Hard to Surprise! Justin Gaston Sings At Miley’s Sweet Sixteen! Madison Delagarza is a BULLY?! Selena Gomez vs. Kwame: Who Will Wiin? Demi's Parts on Studio DC: Almost Live! SHOW INFORMATION: Thank you for participating in the Hannah Montana concert performance taping. Please find below details regarding the event and the answer to frequently asked questions. Miley Cyrus, performing as Hannah Montana, will be taping new concert performances for television. As an audience member you will be a part of the show and see Miley perform brand new never before seen Hannah Montana songs from her new soundtrack. This event is produced entirely for television. There will be stops and starts customary to a television production. The show will start with a special surprise guest appearance starting at 5:15pm. PARKING: Verizon Wireless Amphitheatre parking is available free of charge to ticket holders attending the event. CONCESSIONS: A large selection of concession options are available at the amphitheatre. No food or drinks will be admitted into the venue. CAMERAS: Absolutely no cameras or recording devices will be admitted. Security will be enforced at the door. HOW TO GET YOUR FREE TICKETS: Tickets being offered on our website (tvtickets.com) are for the general admission LAWN seating area only. When you fill out the order form on our website and click the “Submit” button, an internet “ticket” will be generated for printing. Please note that the paper ticket generated from our website WILL NOT admit you to the show. You must bring it with you and exchange for a show admission ticket(s) at the Audiences Unlimited will-call table at the Verizon Wireless Amphitheatre. Please be prepared to present a photo ID matching the name printed on your internet ticket. You’ll then be checked off the ticket list and we will issue free show tickets to you according to the number ordered on your AU internet ticket that will admit you to the general admission LAWN seating area. Please plan to arrive and check in with us prior to 3:00PM. We will not issue tickets to multiple or duplicate copies of our internet tickets, so please do not request more than 6 tickets under one name, or make photocopies and distribute to your friends! A television production is recording at this event. By your presence, you consent to be filmed/taped and otherwise recorded and agree that Walt Disney Records (“Producer”) may use and grant others the right to use, your voice, name and filmed/taped and/or recorded image and likeness, without limitation or restriction, and without payment to you of any kind, for all purposes, in and in connections with the television production or any other production (including without limitation, the advertising and promotion thereof), throughout the universe, in perpetuity, in any and all languages, formats, manner, media, devices, processes and technologies, now known and later devised. Producer is proceeding in reliance upon this notice and your consent in connection with it’s production activities. If you do not wish to give such consent, do not attend the event or enter the venue. If you do come to the event and come in range of the camera of sound recording equipment, you will be deemed to have consented to this notice and waived any and all claims you may have. Do you live in CA & want to go?! I read about another person's experience of this online. The event sounds like a lot of fun! Did you get your tickets from TV tickets? I got mine from her sweet 16 party but I couldn't go. ): I really want to go to the season 4 concert, but none of her sites nor disney's sites provide any information. How did you find out about the tickets?